Jon Favreau, shown with President Obama in April 2009, was one of the youngest head speechwriters in presidential history. WASHINGTON – He didn’t mean to break it to the president just yet. But President Obama picked up on the excitement in his young speechwriter’s voice when the two chatted about Hollywood aboard Air Force One on their return from a fund-raising dinner at George Clooney’s Los Angeles home last May. Jon Favreau, the North Reading wunderkind who has channeled Obama’s voice since 2005 after meeting the junior senator at the Democratic National Convention in Boston, was considering a switch to screenwriting. His eagerness became apparent when he told Obama that NBC had picked up “1600 Penn,” a political comedy cocreated by Jon Lovett, another former Obama speechwriter whom Favreau had caught up with before departing Los Angeles. Friday was Favreau’s last day in the White House. Flattened cardboard boxes resting next to a conference table were to be filled with memorabilia. There was the photo of Favreau and Obama in the Oval Office working on his first address to a joint session of Congress. 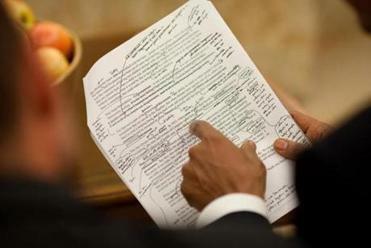 And the one featuring the ­final page of Obama’s health care speech, the president’s scrawl marking up the text to reflect the thoughts Massachusetts Senator Edward M. Kennedy had shared from his deathbed. Barack Obama hired Jon Favreau about a year after meeting him at the 2004 Democratic National Convention. It is a bittersweet time for the 31-year-old, who got his start in politics a decade ago writing speeches for then-presidential candidate John F. Kerry. Obama has been Favreau’s boss for nearly his entire adulthood, since soon after he graduated with degrees in political science and sociology from the College of the Holy Cross in 2003. This week, Favreau and Dedham native Tommy Vietor, spokesman for the National ­Security Council whose office is down the hall, will launch their communications consulting firm – Fenway Strategies – to try to earn a living while they collaborate on a screenplay or television series about their time in Washington. He called Obama the “best boss and best teacher I ever had,” but he feels like he’s already served his two terms and it’s time to try something new. For now, Favreau plans to stay put in Washington and locate Fenway Strategies here – “We’re still trying to find a location that’s not one of our couches.” A third partner, Ben Schwerin, a Wellesley native and former aide to President Bill Clinton, will be based in Los Angeles. Favreau plans to spend a week in March unwinding in Fort Myers, Fla., where his parents live most of the year, as well as visiting his grandmother in Tewksbury and the professors at Holy Cross he credits with helping launch his career. He got his start in Washington in Kerry’s press ­office during a Holy Cross internship, when he helped ghostwrite op-ed pieces for the Bay State senator. He so impressed David Wade, Kerry’s chief of staff, that Wade hired him as one of the first recruits to Kerry’s presidential campaign. Watching Favreau’s talents emerge was like “a scene in ‘Good Will Hunting,’ ” said Wade, marveling at Favreau’s journey. During the 2004 Democratic National Convention, Favreau was famously dispatched by Kerry’s team to tell Obama, who was delivering the keynote address, to remove a line in his speech that was too similar to what Kerry was going to say. 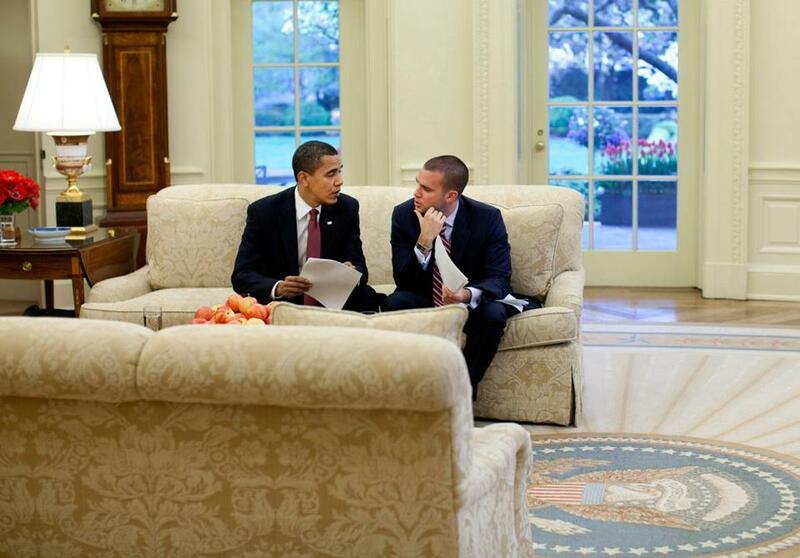 A year later Obama hired him and Favreau became the second youngest head speechwriter in presidential history. His only hiccup occurred shortly after Obama’s 2008 election when a photo surfaced on Facebook of Favreau groping a life-size cardboard cutout of Hillary Rodham Clinton during a party that his parents threw for him. Favreau apologized to the then newly named secretary of state and onetime Obama rival. But Hollywood beckons. Favreau’s younger brother, ­Andy, is an actor in Los Angeles and will appear in an upcoming episode of “1600 Penn.” His childhood friend Josh Porter, a Goldman Sachs financial adviser, is also out there. Vietor, who timed his departure from the White House with Favreau, said the pair has one specific project in mind — combining comedy and drama — stemming from their months on the campaign trail with Obama in 2007 and 2008. “There are these experiences that happen behind the scenes that are hilarious and quirky and you meet these characters on the road you’ve never seen before — we’re trying to bring that to life and also tell a broader story about politics and the media, and the state of both,” said Vietor, 32. He is a former Obama deputy press secretary who first bonded with Favreau over the Red Sox, their Massachusetts ties, and their similar paths to politics. Among his memorabilia from the White House, a photo of Obama’s health care speech marked up by the president. Favreau, who has spent some time looking back and reminiscing on the speeches he’s written, concedes it may be challenging to write in his own voice again. On Tuesday, flying back to Washington from Virginia, Obama turned to Favreau and told him he was particularly proud of one thing: that all the trips on Air Force One and Marine One helped Favreau conquer his anxiety about flying. Tracy Jan can be reached attjan@globe.com. Follow her on Twitter @GlobeTracyJan.